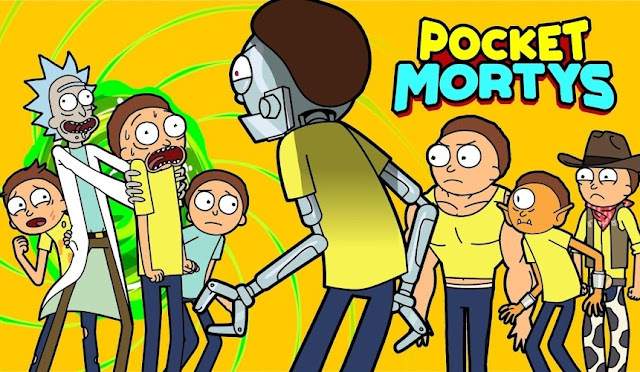 Pocket Mortys - Join Ricks throughout the multiverse as they get swept up in the latest craze: Morty training! There are over 70 bizarre Mortys to recruit and train out there, including Mustache Morty, Wizard Morty, Cronenberg Morty and more. Assemble a dream team, then challenge rival Ricks by forcing your grandsons to battle each other. Command, combine and level up your Mortys to prove that you're the greatest Morty trainer of all space and time! Please note the game is currently not working on devices with an Intel Atom chip. We are currently working on a fix that will be released in an update. Pocket Mortys: install APK and play the game.